I’m giving myself this week to finish my enormous Brahms book so I can go back to the two things I care about most in life: 1) beating Wind Waker for the first time in a decade and 2) writing about other composers in this column. It’s been tough to read and write about and listen to Brahms for almost a straight month. At times I feel both closer and further away from a man I barely understand up until the winter of this year; his work is so intensely loaded — especially for someone who more or less rejected the idea of programmatic music — that I’ve felt forced to rethink a lot of what I felt about him. I thought he was a sad guy! And sure, maybe “sad” in a traditional artist sense, like “I’m writing a sad poem right now” sad, but there was so much more color and vigor to his work than I previously understood. The last Brahms piece I want to highlight — and in fairness, this is only the second one I’ve written about in the context of this biography, so lay off me — was my first introduction to Brahms in an academic setting. In college, I took a very easy and lovely class called “Introduction to Classical and Romantic Music” which lay a wonderful foundation for a lot of the reading and research I do now. In the midst of the two units (you could probably guess, but they were titled, uh, “Classical” and “Romantic”), we listened to Brahms’s Symphony №3 in F Major as this very bizarre hybrid of the two genres. Many have called Brahms’s third symphony his Eroica, which is a ringing endorsement if I’ve ever heard one. Premiering in 1883, this is definitely considered late Brahms. In fact, Richard Wagner, his old rival featured in last week’s column, had just died that year. Even up until his final days, the dumb feud between these two men had not subsided, to a point where Wagner enthusiasts (if you know what Wagner fans called themselves back in the day, “BeWagners” or whatever, please tell me) protested outside of the third symphony’s debut. What the hell!!! It’s not Congress, you dopes. Get a life. It’s less obscure and puzzling to work through. I know I set you quite a challenge with that first piano concerto of his. The first movement of the piece is an Allegro con brio, and this particular recording is conducted by who else but Bernstein. This first movement, nearly thirteen minutes in length, sounds aggressively Beethovenian in nature, starting with a confident fanfare from the horns. Once the introduction settles down, there’s a really lovely melody on the strings and woodwinds. It lilts back and forth, by no means delicate, but not too forceful to push its listener away. It’s a melody you can hum! It’s even a little playful at times, hearkening back to that bit in the first piano concerto in which a big dark build-up in the strings leads to a precious piano melody as its punchline. This is a symphony in a major key after all; it feels triumphant and glorious and self-assured. No longer are we sensing the Brahms struggling to live up to the reputation set in motion by the Schumanns or otherwise. In its final 20 or so seconds, the first movement concludes softly. Finitely. No bursts. It just lays to rest. Its Andante doesn’t feel like your typical Andante. You often picture something slow or mournful, pensive and meandering, at times, but Brahms’s Andante has a profoundly forward momentum. There are a lot of passages in my Brahms book about the composer taking summers to hike through the German countryside. I will openly admit that this isn’t a part of my heritage (oh, you didn’t know I was German? Look at my last name for 0.4 seconds) that has been passed down genetically, but in times of worry, I think, “yeah, I could go back to 19th-century Germany and have a big stick and walk up a nice hill and be perfectly happy.” And this is what I’d want to listen to! And then we have the movement I really want to talk about. A movement I think about all the time, the Poco Allegretto. It’s the shortest movement in the whole piece, and in the way that the Andante doesn’t feel quite as, well, sad as an Andante usually feels, it’s the Poco Allegretto that changes places with it. In college, when I took my music class and we listened to this symphony, we were instructed to listen to this movement in particular, which my professor said was one of the saddest movements of a symphony he ever heard. I don’t know if it tugs at my heartstrings in quite the same way as it did for him, but it does ache. This movement is, I’m not kidding, unrequited love in a nutshell. It’s sweeping and overdramatic, almost to a point of being funny. There’s a tonal shift at around the 1:45 mark where it becomes light. The clarinets are really just going to town. It’s almost a little nagging, as if Brahms wants you to remember something lighter before pulling you back down into the tragedy of it all. You will listen to this movement and then you’ll listen to it again. It’ll stick in your head the way a person can. It is truly one of the most beautiful movements in all of classical music. If you listen to nothing else from this symphony, listen to the third movement. Symphony №3 in F Major ends with an Allegro, plain and simple. Fast. Quickly. Let’s do it. Let’s blow through. The movement begins with a buzzing in the strings and a quick, nervous melody on the woodwinds. Then: at about 46 seconds in, we’re going. This is a fricking FINALE, folks. This is the same type of raw energy you could sense in the first piano concerto, only much more guided and focused. Remember all one thousand times I’ve written about cello here? Get a load of that cello melody at the 1:19 mark. I want to stand up and applaud then and there, but there’s still a good seven minutes to go. The rest of the movement is fairly upbeat and even a little bombastic in parts, but it doesn’t go full Beethoven. Like the first movement, Brahms ends quietly. On a clean chord. 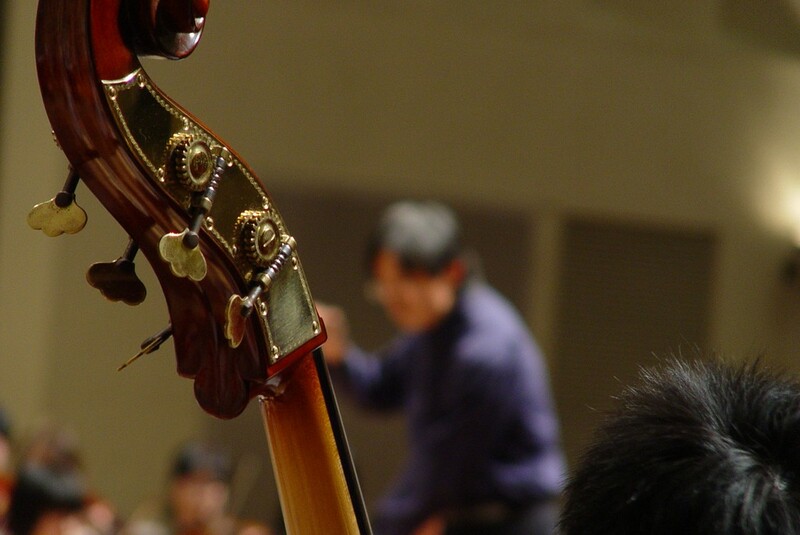 It’s resolved — the symphony, the piece, the heart behind it, everything. Including, of course, this little mini-series on my giant Brahms book. I’ll be back next week with something very fun and dare I say, American.